Spring is here, and with it comes PAX East 2018 in Boston, Massachusetts! As always, this show is packed wall to wall with the newest releases, game demos, community meet-ups and tournaments. We love coming to this show to meet up with the ASTRO family in real life so you can ask us questions, talk about the latest on Twitch, and demo the latest from us! 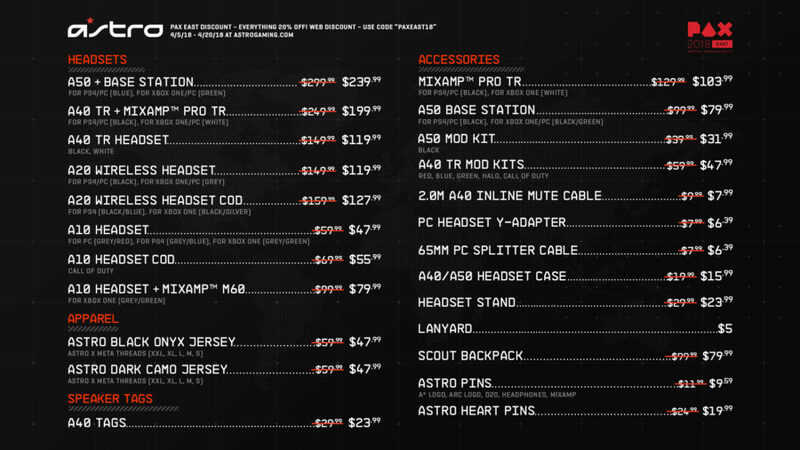 ASTRO Gaming’s booth will house great deals, exciting new products, and tournaments as well, so be sure to read on to learn more about our show schedule. 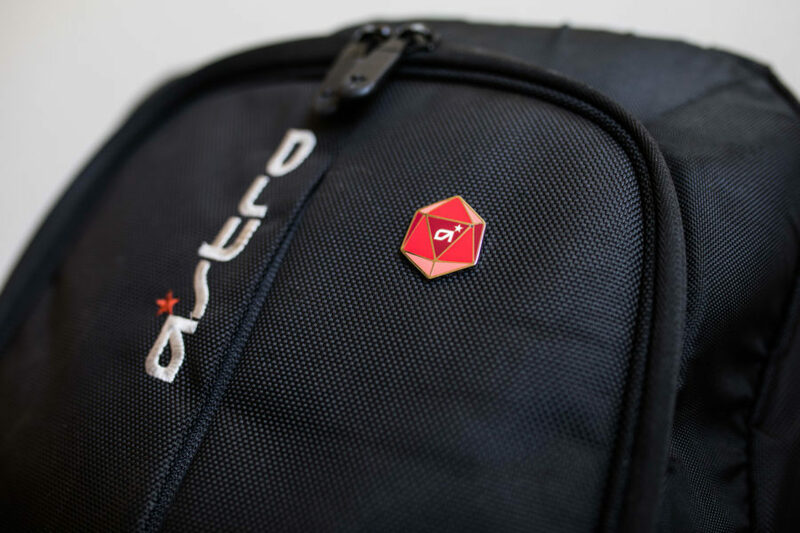 The exclusive ASTRO Gaming Pintrill pin for PAX East will be available only in our booth only at this show. Check out the entire line of Pintrill pins for sale at the ASTRO booth! Quantities are limited, so be sure to stop by early! If you’re in-person attending the event, you can save 20% on your in-booth purchase! From Speaker Tags to MixAmp Pro TR’s, now is the time to upgrade your gaming arsenal. Don’t worry if you’re not in Boston—use code “PAXEAST18” when you checkout online and save 20% on your purchase! ASTRO Battles returns for PAX East! 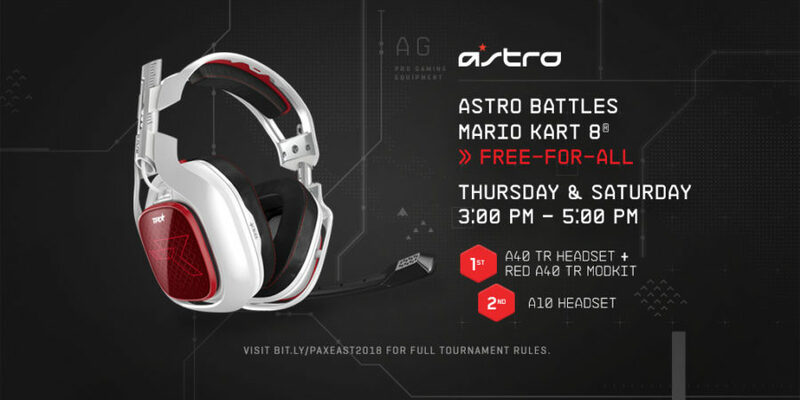 Thursday and Saturday at the show, you’ll have the chance to play Mario Kart 8 Deluxe™ on Nintendo Switch to win great ASTRO gear like a new A40 TR + MixAmp Pro TR or A10 Headset! 4 stations will host a Free-For-All match at the ASTRO Gaming booth. The game winner is determined by points at the end of one Grand Prix. Tiebreakers will be decided by a head to head match. Prizes for longest win streak and second longest win streak will also be awarded! The line will be capped and fill up quickly, so please remember this is first come, first serve! *Nintendo is not an official sponsor of ASTRO Battles. In addition to ASTRO Battles, we will also be hosting Battle Royale all day every day at the booth: 4 Xbox One stations will host Fortnite, and 2 PC stations will host PUBG. 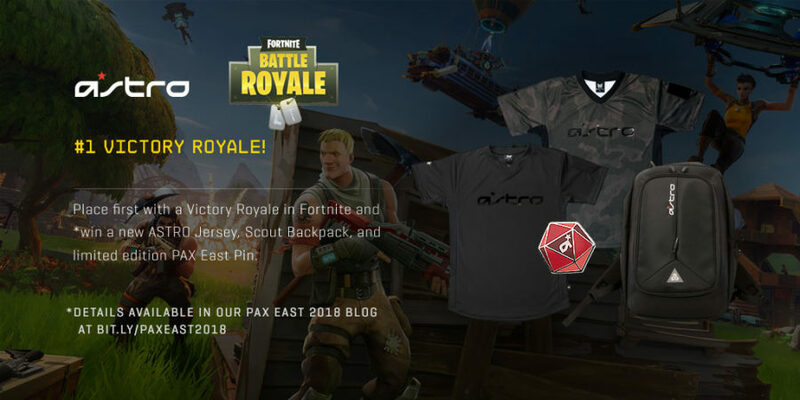 Win a Victory Royale in Fortnite and you’ll win an ASTRO Jersey, exclusive PAX East Pintrill Pin, and Scout Backpack! 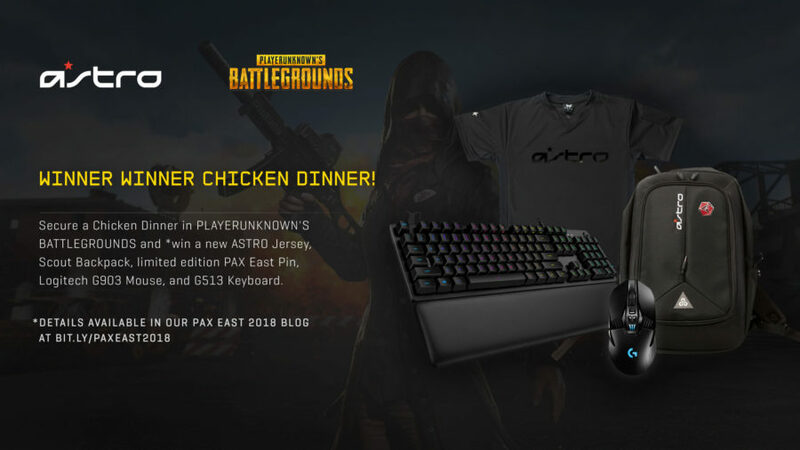 Win a chicken dinner in PUBG and you’ll win an ASTRO Jersey, Scout Backpack, exclusive PAX East pin, and G903 Wireless Gaming Mouse + G513 Mechanical Keyboard from Logitech G! As with the ASTRO Battles, the line fills up quickly, so please remember this is first come, first serve! When you purchase the ASTRO Gaming jersey (for sale exclusively at our booth! ), you’ll receive a discount on customizing your jersey in the Meta Threads booth! 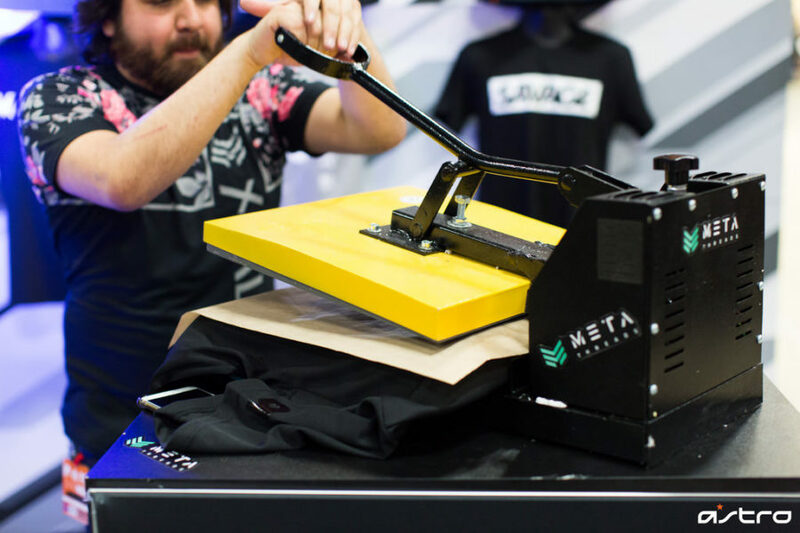 Please note: the only place to get your ASTRO Gaming jersey customized is at the Meta Threads booth at PAX East; the only place your discount will work is with Meta Threads! 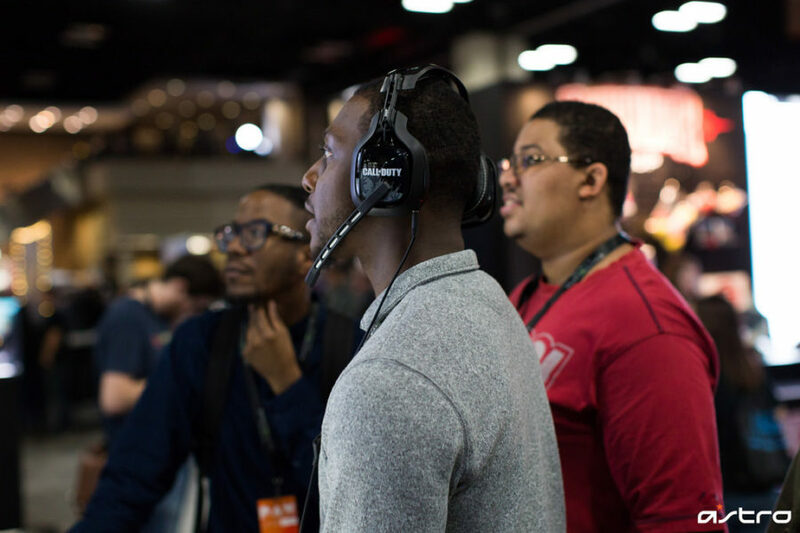 We’re proud to once again be the official headset of PAX East, and you’ll notice our gear powering the PC and console freeplay partner booths, in addition to partner booths around the expo hall. Microsoft, Square Enix, Phoenix Labs, Annapurna, Mixer, Discord, Nintendo, and Wormhole Wars will all have great experiences, so be sure to check them out! 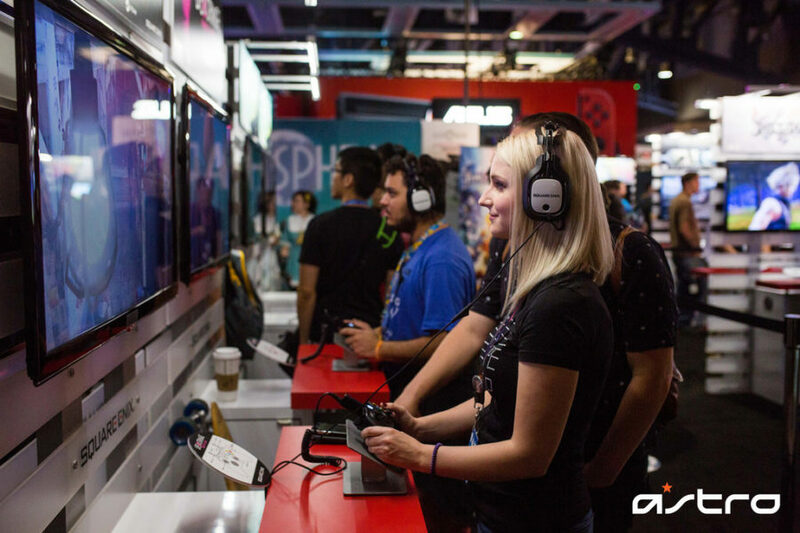 The ASTRO Booth will have PC and free-play stations so you can demo our products so you can learn more about the right solution for you. The ASTRO Crew will be on-hand in the booth to help answer any questions you have. We love getting the chance to meet the ASTRO Family one on one, hear feedback and your thoughts on gaming! We can’t wait for another great year at PAX East! See you there, ASTRO family!